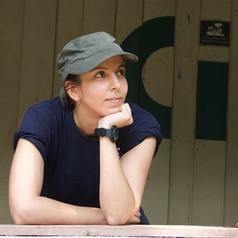 Sophia Daoudi is a member of the Behaviour and Evolution Research Group at the University of Stirling and the Scottish Primate Research Group. Before starting her PhD at Stirling she undertook an MSc in Primate Conservation at Oxford Brookes University, where she spent 3 months in the Peruvian Andes studying the Critically Endangered yellow-tailed woolly monkey as part of her dissertation research. She is currently a Lecturer on the psychology undergraduate animal behaviour modules, and Human Animal Interaction MSc. Her current research focuses on the behaviour of tufted capuchins and squirrel monkeys in both captive and wild environments. In particular she investigates polyspecific associations between the two. She is also interested in animal welfare and conservation.